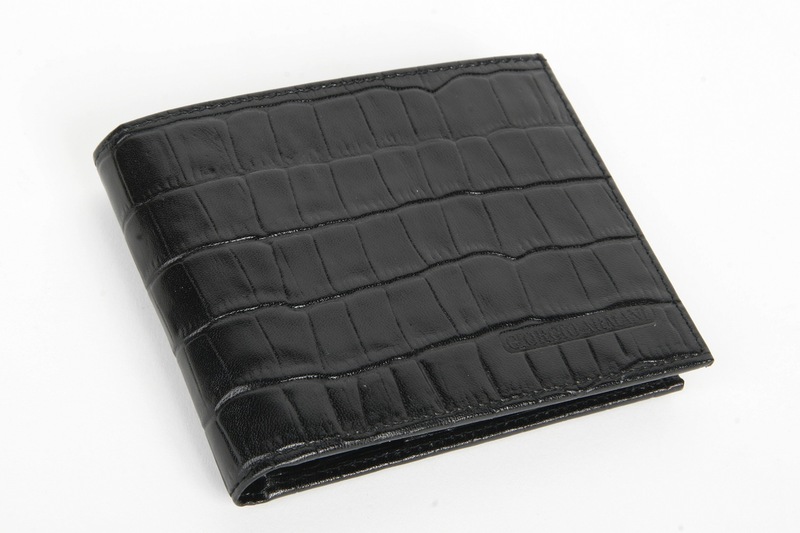 100% Italian leather in crocodile print - GA466. 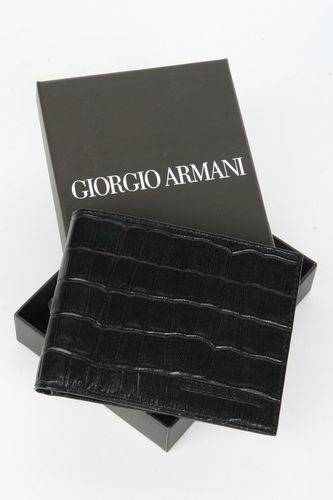 "Giorgio Armani" embossed on the front of the wallet. "Giorgio Armani - Made In Italy" embossed inside. 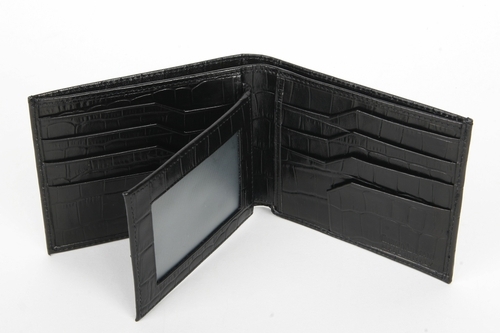 Features 6 credit card slots, 4 hidden compartments and a billfold compartment; additional middle compartment with clear ID slot on one side and card slots on the other. Approximate Size: Opened up :3 1/2" x 10"; Folded :3 1/2" x 4 1/2". Comes with Original "Giorgio Armani" Giftbox.